journals, schools and universities declare that it is science. Thus many people and even theologians agree. What is strange, is that there is a massive campaign to prohibit critical discussion of evolution. This is happening in the United States, Australia, the United Kingdom and many other European nations. They make laws to ‘protect’ evolution from criticism. 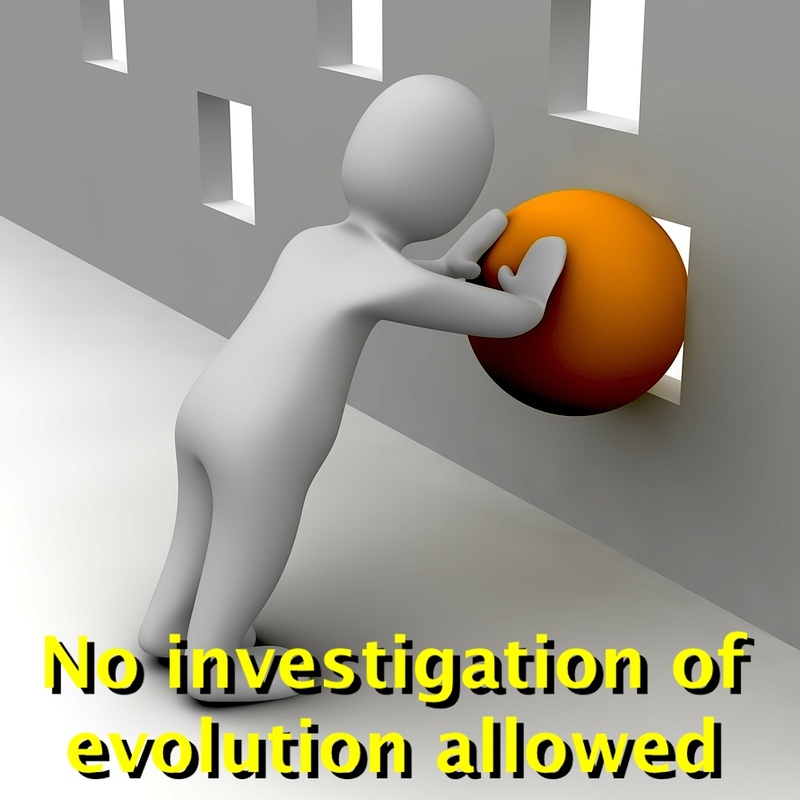 If evolution is proven science, why is nobody allowed to critically discuss it? Why are no laws made to prohibit discussion of the relativity theory of Einstein, gravity, magnetism and many other facts of biology, like the production of energy in the mitochondria? It is because laws of nature are normally proven (unless falsified) by many repeated experiments. So real or operational science does not need protection through laws. By operational science we mean physics, chemistry, biochemistry and biology, unfettered by all the imaginary evolution scenarios. An established law of nature seldom comes under attack. Scientists do experiments and show the results if they think it is wrong. If there are questions about some aspect of a law of nature, a scientist can answer the questions, normally without excitement, since it is based on repeated experiments. Why would somebody query, for example, the law of gravity? Even the mechanisms of meiosis and mitosis have been established through pain staking laboratory experiments. Nobody ever questions them. They are ‘solid’ facts which were verified by repeated experiments. So why does evolution need protection? What is sacred about evolution? Why is it so precious? How can many scientists do their work without ever calling on Darwin for help? Today, in our modern age, we have another Inquisition. There are a group of people who have taken it upon themselves to censor any criticism of evolution. It has become dangerous to attempt to discuss Darwinism negatively. Why? Why are the jobs of teachers and lecturers in danger when they question evolution? Those people never criticise the Krebs cycle, photosynthesis, or metamorphosis, because they are established facts. The ‘protection’ of Darwinism, or evolutionism by law, is highly suspicious. The only conclusion is: if they have to use the courts to protect the teaching of evolution, they tacitly admit that it is not science, but a faith. A faith in what Darwin proposed, namely that molecules can change to men, over millennia, by chance and luck. Because it has never been proven that evolution is a scientific fact, it needs protection. It needs protection, as evolution is not about teaching science, but about teaching atheism. There is no God. Accept it, and don’t question it (it is because if evolution is true, then it follows logically that there can be no Creator God). Evolution is the foundation stone of atheism. In the drive to convert society to atheism, schools are a good place to enforce it. If evolution is not true (which atheists cannot allow), creation is a fact. Then God is real, and that is not what they want people to know. Nobody has yet proven that evolution is true (we exclude the usual beak of the finch, and other normal adaptations). It must be protected, otherwise atheists will have to concede that their faith is without evidence. Rational people don’t want that, so use the courts of law. Question: Do you think protecting evolution by law is good evidence that it is true? The beginning and development of the universe and all life, we are told, was through natural evolution. It was a random process that took millions of years. Yet we are assured that it is a scientific fact. Evolution is the exact opposite of supernatural creation where God planned it all with a purpose and did it in 6 days. No amount of creation make-belief will convince Christians that the Bible is true. 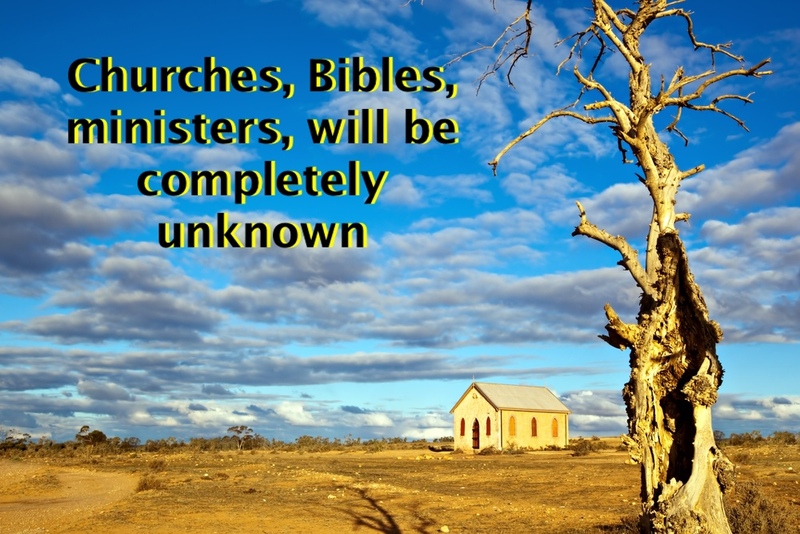 They will realise that there is no God, Jesus, or Holy Spirit. Churches would have closed a few years after Darwin published his book in 1859. So it was unnecessary to train ministers and evangelists. Theological colleges closed. Theological books and Bibles were burnt or recycled. Former ministers of the Gospel changed to whatever job they found, because there were no active churches. There will be no debates between hated creationists and highly trained evolutionary scientists (it will save a lot of time). Scientists will be able to concentrate on science. There will be no evolutionary biologists and geneticists. They no longer need to vindicate Darwin, because he triumphed, and evolution is as much a fact of life as gravity. People like Richard Dawkins will be jobless, because there will be no need to evangelise for atheism. All people will automatically, by default, be atheists. ‘Religion’ will not be an issue. So nobody will write books that there is no God. Museums won’t need to organise and display special programs to teach evolution. National Geographic won’t need to make nature programs to ‘sell’ evolution to the masses. Organisations like the National Centre for Science Education that protect evolution against criticism, will not exist. Oh, it will be so wonderful without a God. There will be no more terrible wars by the Christians, and no more persecution of honest evolutionists who are harassed by ‘creationists.’ 1 There will be no problems, crime, or anything that disturb the peace and happiness in the atheistic Utopia. People will just live and enjoy a life without accountability. This scenario has not arrived, so maybe evolution is not as true as they want us to believe. In the meantime, Bible believers are urged by atheists and evolutionists not to despair. Christianity is a faith without evidence, while evolution has evidence. The Bible teaches that what you say about others, might apply to yourself.2 In this instance it is very true: it is not Biblical faith that is without evidence (the Bible is history written down by eye-witnesses), evolution is a faith in things that no one has ever seen. It is without evidence. Question: If evolution is a fact, why does it regard Biblical creation as its enemy? People are interested in the lives of film stars and other important people. They follow them on Twitter and Facebook, read articles in magazines and watch films and TV programs in which they appear. So why does God not appear to people today, so that they know He is alive and well? Why can we not see Him regularly as individuals, or in cities, provinces, countries, and continents? Why is God invisible? The Bible has 66 books, all designed to encourage us to understand different aspects of God’s character. People who are interested in God, will read what He has to say, ask questions and investigate Scripture to learn more about Him and His way of doing things. They will invest in the Kingdom of God by studying the ‘Prospectus,’ to know what the CEO is like. Question: Is it possible to know and understand God if you don’t study Scripture? 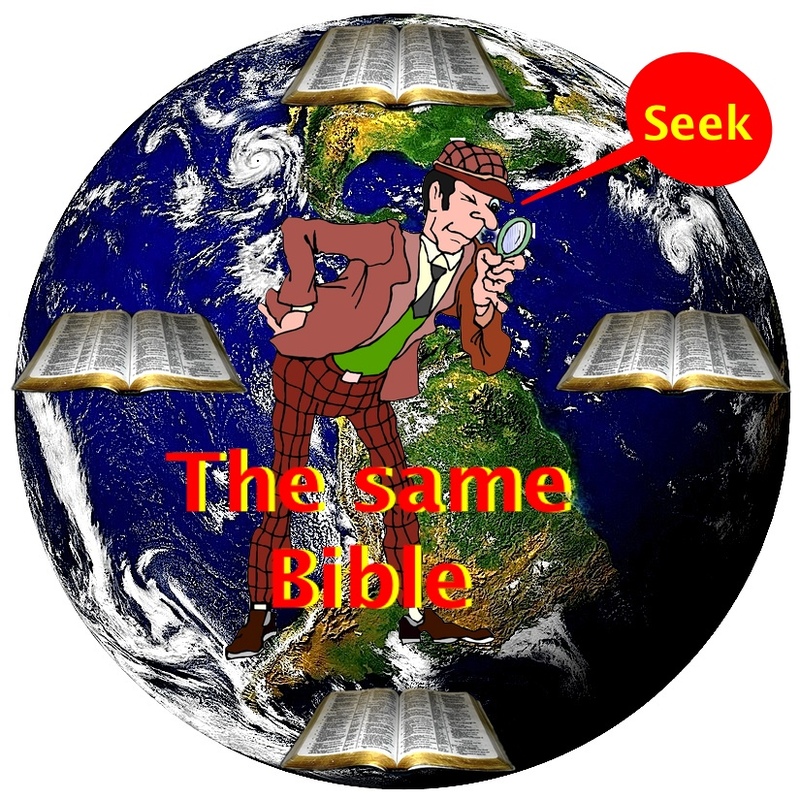 Author Gerard and AlidaPosted on March 18, 2014 Categories BibleTags Bible, Holy SpiritLeave a comment on Why is God invisible?